An MTSU professor is the recipient of one of her academic discipline’s top honors. 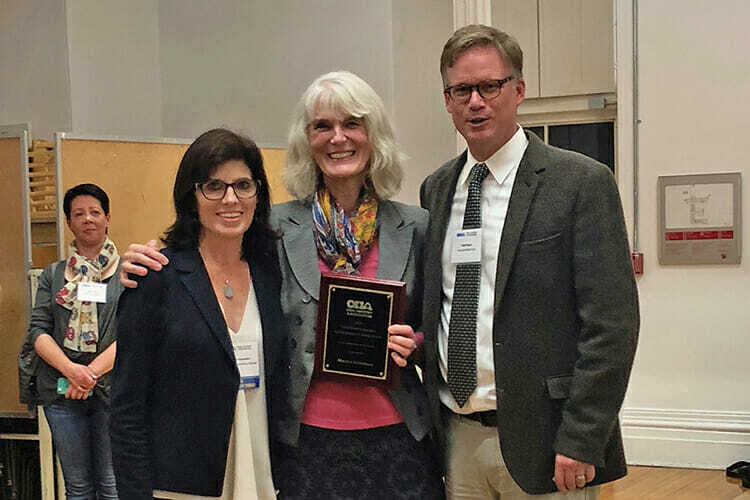 The Oral History Association bestowed its 2018 Postsecondary Teaching Award on history professor Martha Norkunas at its annual conference in Montreal in October. The award, which is presented every two years, “recognizes a distinguished postsecondary educator involved in undergraduate, graduate, continuing or professional education who has incorporated the practice of oral history in the classroom in an exemplary way,” according to www.oralhistory.org. Former students from both MTSU and the University of Texas at Austin, Norkunas’ former employer, nominated her for the award. They wrote letters to OHA explaining Norkunas’ impact on their educational and professional lives. “She opened to me the power of oral history methodology and practice, the power of listening, storytelling and empathy,” wrote Lindsay Hager, archival and project assistant at the Tennessee State Library and Archives. Brian Odom, historian at NASA’s Marshall Space Flight Center in Huntsville, Alabama, wrote about how what he learned from Norkunas at MTSU informed his current work interviewing current and former employees on the role of race and gender in space exploration. 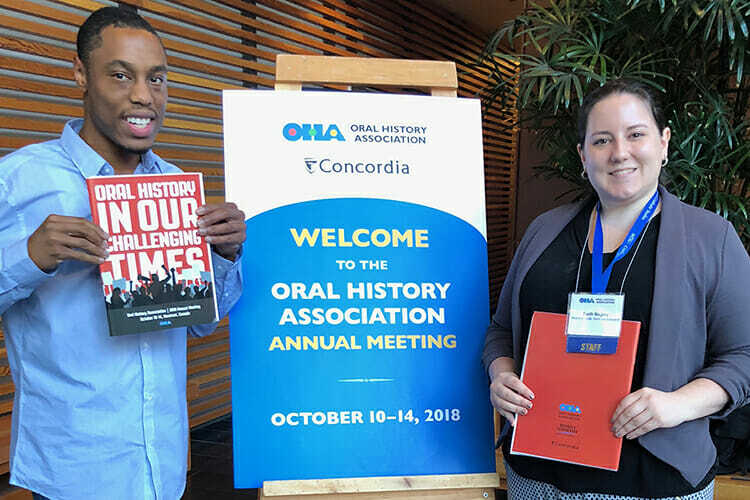 “I rely heavily on the skills and concepts taught by Dr. Norkunas, particularly on collective memory, the relationship between memory and history, generational memory, trauma and memory, soundscapes and on the challenges and possibilities of co-creating oral narrative as history,” Odom wrote. “I was honored to receive this national teaching award for my work in oral history, especially because it came from my graduate students at MTSU and the University of Texas at Austin and my oral history colleagues across the country,” Norkunas said. Norkunas invented a new approach to teaching oral history based on listening exercises, which are being adopted by oral historians around the world. She said her field work as an oral historian informs her belief that nuanced, empathetic listening can create levels of understanding between people who differ from each other. “I hope to continue to teach new generations of oral historians how to co-create beautiful, in-depth oral history interviews with women, people of color, immigrants and other minority communities,” Norkunas said. Norkunas directs the graduate oral history concentration in the public history program at MTSU. The executive office of the Oral History Association is housed in Room 217 of Peck Hall on the MTSU campus. Louis Kyriakoudes, director of the Albert Gore Research Center, and Kris McKusker, history professor, are co-executive directors. For more information about oral history education at MTSU, contact Norkunas at 615-494-7701 or martha.norkunas@mtsu.edu. To learn more about the Oral History Association, call 615-898-2544, send an email to oha@oralhistory.org or visit www.oralhistory.org.